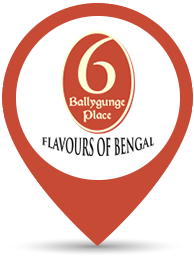 We thank Anandalok for choosing 6 Ballygunge Place & The Wall as food partners for their special Pujabarshiki photo-shoot. The stars love us and we love bringing them great food everyday. Weddings are truly food-tastic when you have a lavish spread from 6 Ballygunge Place Catering for your big day! 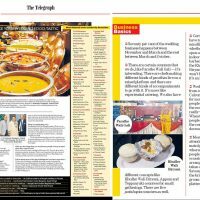 Thank you The Telegraph t2 for a tell all coverage ahead of the wedding season. 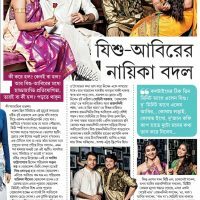 What unites the two Byomkesh Bakshi-s for a candid adda with Ei Samay? Two beautiful leading ladies and amazing food from 6 Ballygunge Place. Thank you Ei Samay for choosing us as food partners for this special shoot. Craving DurgaPuja bhuribhoj at home? 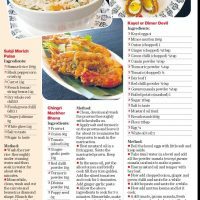 Chef Sushanta Sengupta of 6BallygungePlace shares simple recipes you can rustle up right in the comfort of your kitchen. We thank T2 for this wonderful coverage! 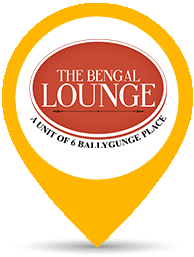 News Bangla Time drops in at 6 Ballygunge Place to check out the Grand Pujo Feast – a lavish festive spread featuring the choicest traditional Bengali delicacies. 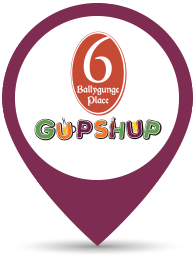 Channel 10 visits 6 Ballygunge Place to check out their Durga puja festive menu – a lavish feast featuring delectable veg and non-veg dishes at amazing prices. News 18 Bangla travels to 6 Ballygunge Place to sample the Grand Pujo Feast – the lavish Durga Puja spread featuring scrumptious veg and non-veg dishes at amazing prices. News 18 Bangla joins actor Pujarini as they dig into the Grand Pujo Feast – the Durga Puja festive spread by 6 Ballygunge Place featuring the choicest traditional Bengali delicacies.